This is the last time that I will be able to post the above blurb, as Eva has decided to stand down as co-host of this meme. This decision saddens me a little given that I treasure the friendship that I have with Eva which was definitely enhanced by co-hosting, but I do understand why she has made the decision she has made. What does Eva's decision mean for the future of Library Loot? It means that I am looking for a new co-host! So what does co-hosting require. It means that you will need to ensure that you have a Library Loot post up every second week on a Wednesday, and that you will need to have a Mr Linky account, so that you can put one of those up for people to sign up to. The basic Mr Linky accounts are free, so there is no financial implications. Apart from that, I like to try and visit all the participants every week and leave a comment, but that is really it in terms of commitment. Are you interested? If yes, send me an email at ozdiamondlil at gmail dot com, and we will go from there. 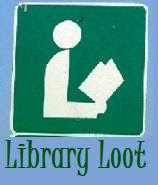 This week I finally made it to the library so have a few Loot items to share. 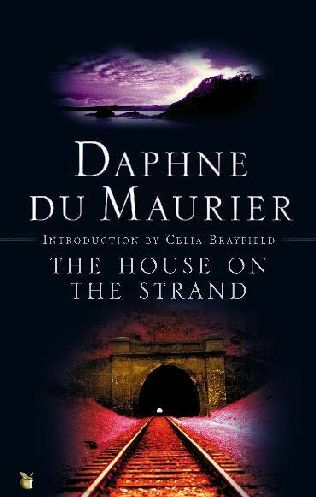 The House on the Strand by Daphne du Maurier - Reading Ciji Ware's Cottage by the Sea made me want to read another du Maurier, so I picked this one up. I have only read Rebecca before and really liked that one, so I am looking forward to reading more. Dead in the Family by Charlaine Harris - Next book in the Sookie Stackhouse series. Something a bit strange happened with this one. The sticker on the front of the book says that it is a two week book, but when it was checked out they gave me a month to read it. Married by Morning by Lisa Kleypas - Next book in the Hathaway series. This is Leo and Marks' book and I am really looking forward to reading this one. Zack by Cheyenne McCray - I was feeling in the mood for something a little sexier. I don't necessarily read a lot of these kinds of books, so we will see what happens with this one. Named of the Dragon by Susanna Kearsley - My quest to read everything by Susanna Kearsley continues! Don't forget to leave your link in Mr Linky so that we can all come and check out the loot you got as well! You may have seen this already, but I thought it was too fun not to share as part of this week's Library Loot post. We don't even have these ads here in Australia, but thanks to the internet, we too get to share the awesomeness that is Old Spice Man. Great loot! I loved the kleypas book, it was a great addition to the series. Great finds! I'm still a few books behind in the Sookie series! I have yet to read any book by du Maurier, everytime I see her name appear somewhere I think: Oh, that's right, I was going to read something by her this year. Awesome find this week! I saw the Charlaine Harris at the bookstore the other day, and was intrigued by the sparkly cover. Is the library version sparkly too?? I've only read one Susanna Kearsley and I really liked but then couldn't find any more. I must look again. Ooh, you have great loot this week! Both Dead in the Family and Married by Morning are on my wishlist. If I were you I would start on “Dead in the Family” first. It is so good! Lot’s of action. Plus it is interesting to see how Sookie bounces back after her kidnapping. Ooh, Daphne du Maurier? You are going classic? You're so sweet Marg! I value our friendship a lot too, and it's not going anywhere. ;) I can't wait to see who the new co-host is! Enjoy, I think she's fantastic! Have you ever been to Cornwall??? Like you, the only du Maurier I've read is Rebecca and it's been a while even since that! Looking forward to hearing what you think. I love that ad! Enjoy your loot! Oh I'd love to read the Sookie Stackhouse books. One month instead of two weeks to read it? haha! That's a bonus! Enjoy the Sookie book! And thanks for the video treat. I love The House on the Strand! It's got a great ending. I've only got a handful of books out this time, so I think I'll go back in three weeks instead of four so I can welcome the new host. I received an ARC of book 3 of a SciFi/Fantasy series so despite a huge TBR pile I'm reading books 1 & 2 to catch up.